A: No Class Dog Training Classes! Special Training Tools/ Additional Book or Videos to Purchase - WE DON'T USE THEM!!! If you have a standard collar with identification/Vacc tags and a standard leather or nylon 6ft leash... You are prepared. Attendance - NO CLASS Dog Training Classes is an open door concept. No Contracts, No Minimums. Attend one class or attend ten... 90 days apart or in succession. 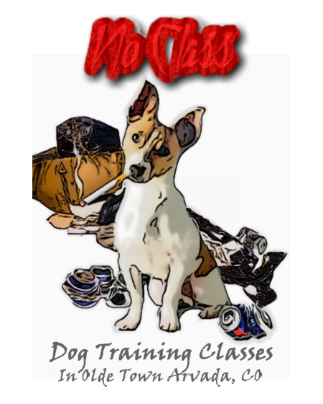 Easy Scheduling and Payment - NO CLASS Dog Training Classes are held every Wednesday and Sunday in/ near by Olde Town Arvada. To attend, simply register using the form below. Once you have registered with us, we put you on the roster for that class and email payment options and terms. Arvada Main Library/ Town Square in Olde Town, Robby Ferrufino Park on 74th Ave and Carr, and more. 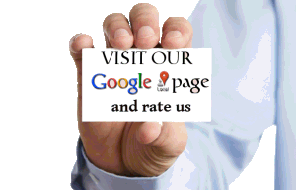 All locations are either an easy walk and/ or a short drive and have ample free parking. See map of training locations here. severely skittish or insecure dogs, dogs with a bite history, former fighting dogs or severely abused/ neglected dog. Please CONTACT US for information on this degree of training. Like wise, this class is not designed for young puppies with no prior basic obedience training or not previously spayed/ neutered/ current on vaccinations.